For 20 years, Tiger-Rock Martial Arts has provided world-class martial arts, life-skills, and self-defense instructions to the Katy, TX community. With two great locations, you and your family can come train at our academy and be transformed. Martial arts is an incredible activity that is fun for people of all ages. It is a great way for you to stay active, fit, and healthy. Moreover, it is also a fantastic activity to relieve stress and improve your health. Now that you know the awesome benefits of martial arts, it is time for you to start your training. Tiger-Rock Martial Arts of Katy, an area institution for nearly 2 decades, is the perfect place for you and your family to learn martial arts. Martial arts. Life skills. Self-defense. Tiger-Rock Martial Arts of Katy has a martial arts training system which combines taekwondo with the latest advances in physical fitness. Together, these elements make for a heart-pounding workout that is suitable for all ages. Tiger-Rock Martial Arts offers classes for kids, teens, and adults. In addition to physical fitness, Tiger-Rock students learn important life skills such as self-defense tactics that will keep them safe and evade danger in an unpredictable world. Elementary, middle school, and high school-age students will participate in anti-bullying education and stranger awareness. New classes are forming daily. We invite you to visit either of our Tiger-Rock Martial Arts of Katy locations on Mason Road or Katy-Gaston Road. See why many Katy area residents choose Tiger-Rock as their neighborhood martial arts academy. It is important to learn self defense in today’s world. While Katy is a very, very safe area, it still does not mean danger isn’t lurking around. To be effective at defending yourself, you need to be able to act quickly and decisively. Understandably, these are skills you are probably going to have to learn from a self defense class in Katy TX. That’s why you should sign up for classes at Tiger-Rock Martial Arts, your neighborhood martial arts and taekwondo school with two locations in Katy. At Tiger-Rock, you will learn real world self defense. Not any of the magical stuff you would see in the movies. But real, effective self defense techniques that you can actually employ. Being able to protect yourself is an invaluable life skill. And at Tiger-Rock Martial Arts of Katy, we want to teach you how to properly defend yourself from various forms of physical attack. 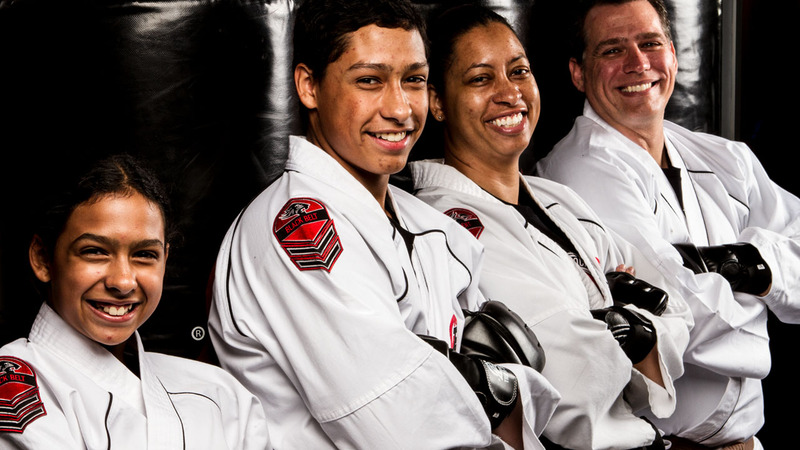 Tiger-Rock Martial Arts wants you and your family to train at your own pace. This is your journey and this is your experience. And we want it to be a positive one! That’s why we offer flexibility with no long-term contracts. Visit one of our Katy area locations today! Click here to contact one of our locations!